Image from page 1 of Sales Clipper, Vol. 19, No. 3, March 1961. 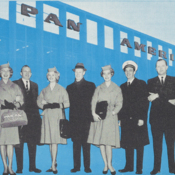 Caption reads: "Selling Scandinavia: On promotional tour on behalf of the new Jet Clipper service to Scandinavia are, left to right: Stewardess Kristina Parikka; Paul Suni, Helsinki DTSM; Stewardess Ritva Vuork; Gunnar Rasmussen, Stockholm DTSM; Stewardess Kari Strom; Purser Harry Hansen; and Derek Blix, Oslo DTSM. See story on Page 3." This item is part of object asm03410058720001001. To request this item, use this number to search for it in UM Libraries' Digital Collections. 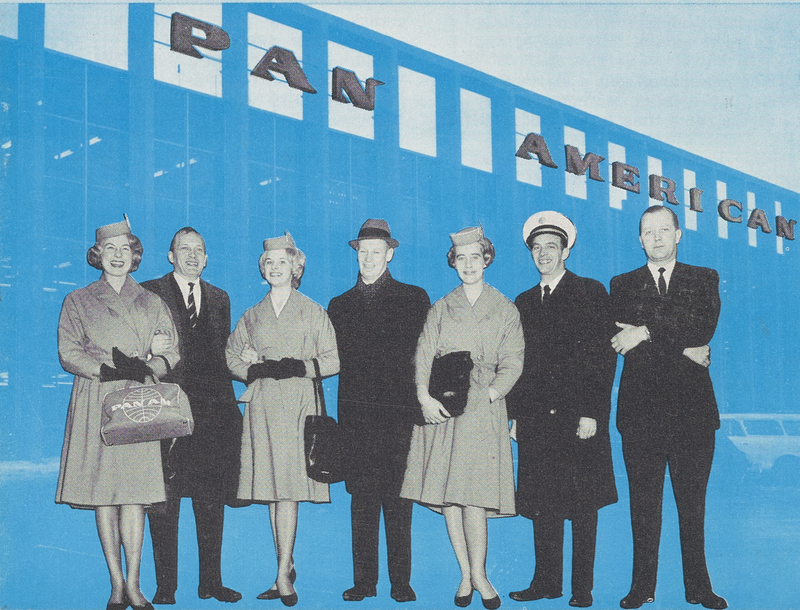 Pan American World Airways, Inc. , “Pan Am personnel were sent to Scandinavia to promote the airline's new jet service,” UM Libraries Digital Exhibits, accessed April 22, 2019, http://scholar.library.miami.edu/digital/items/show/1801.